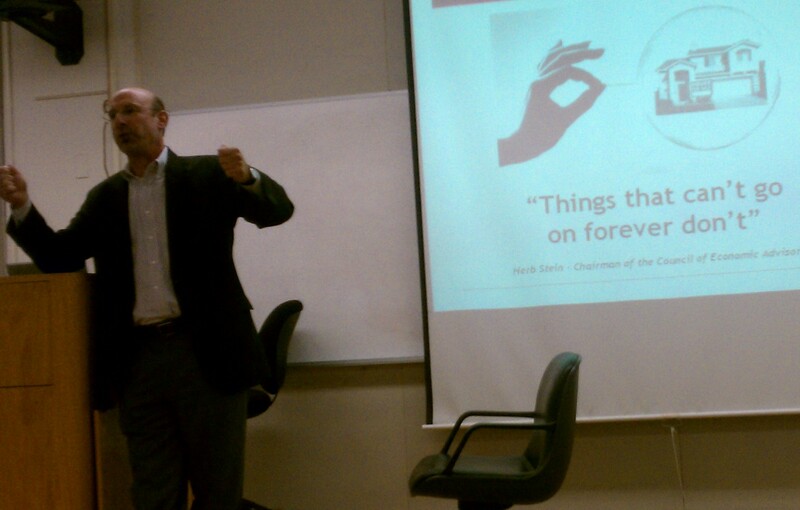 Barry Ziering from BlackRock honored Baruch with a guest lecture Tuesday evening, September 29th. Between breaks here at Baruch as a visiting scholar, he is the global head of real estate (RE) services at BlackRock. He started with the classic market wisdom from Herb Stein, “Things that can’t go on forever don’t.” That defined the financial disaster we are enduring. The good news from Mr. Ziering: “The economy is recovering and the RE values have bottomed out.” Nonetheless, Mr. Ziering kept reminding the audience that overall jobs will take a long time to recover. “The recovery will be slow and bifurcated,” Mr. Zeiring explained. Meanwhile Class A properties in the best markets (NYC, DC, LA and Chicago) are doing very well with plenty of bidders. Properties with full tenants and good cash flow are coveted. It is the B and C properties that aren’t doing well. These are the ones doing workouts with banks. Job growth in the RE industry will be in the transaction side. This was the sector that laid off the most people. Deflation, while unlikely, is a greater risk than inflation. The recovery is one of pricing level, not one of fundamentals — not yet at least. 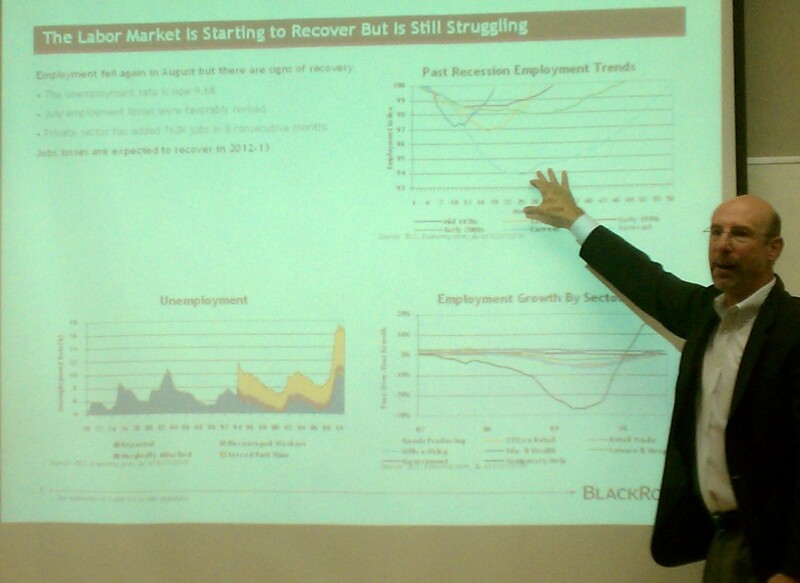 BlackRock forecasts overall job growth to take five years. Extend and pretend will continue. Gov’t isn’t pushing Banks to clear up faulty debt. Many thanks to Mr. Ziering for sharing his analysis and opinions. Welcome to Baruch and see you in the elevators.